Elon Musk's company, SpaceX, shares a lot of videos of its rockets, and much of the footage shows those rockets blasting off into space. 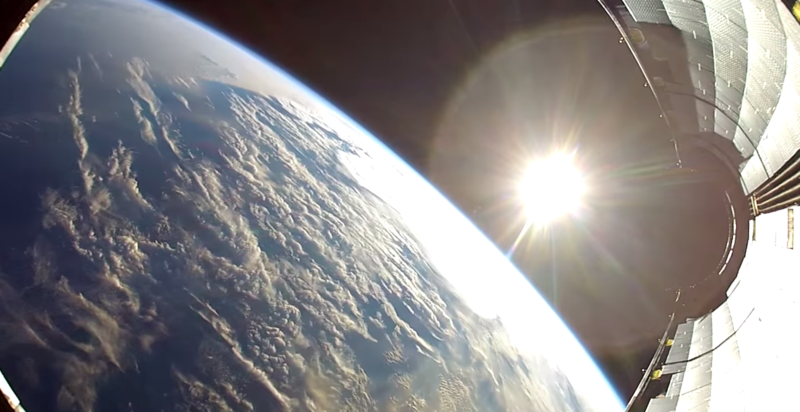 This time, the team strapped a GoPro camera to a metal fairing on a Falcon 9 rocket and captured this incredible video as that part of the rocket fell back to earth. SpaceX designs its rockets to be reusable. That's why it was returning to earth. Naturally, they chose Johann Strauss II's "Blue Danube" as the soundtrack, used as it was in "2001: A Space Odyssey" during those long scenes with the lunar landing and space-station docking. SpaceX made history as the first commercial-rocket company to dock with the International Space Station. It is currently testing the Dragon Rocket that will carry the company's first human astronauts in 2017. Musk famously hopes to one day colonize Mars.